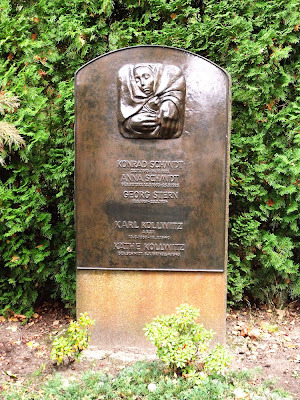 Yesterday we ventured into deepest Lichtenberg to visit the Gedenkstätte der Sozialisten (Memorial to the Socialists) in the Friedrichsfelde Central Cemetery (Zentralfriedhof Friedrichsfelde). I don't believe it is on the top-ten wishlist of many tourists to Berlin - probably not even the top one hundred - but in its day (the Soviet DDR era) it was an important memorial to, and resting place of, anti-fascist fighters and members of the German Communist (KPD), Social Democratic (SPD), and Socialist Unity (SED) parties. 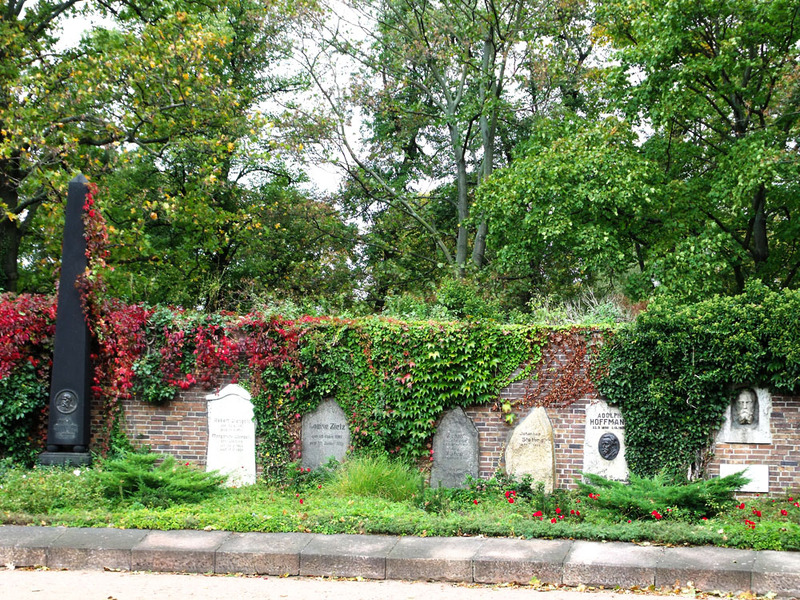 The cemetery was founded in 1881 as a normal municipal graveyard, and continues to be used as such today, but ever since the burial here in 1900 of Wilhelm Liebknecht (founder of the SPD) it became the place for prominent socialists to be buried. 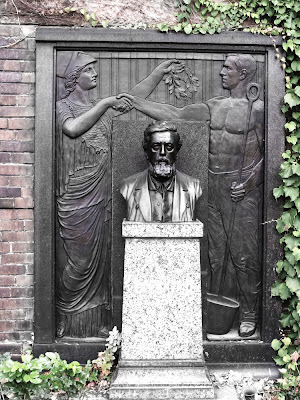 Wilhelm Liebknecht's grave and monument. 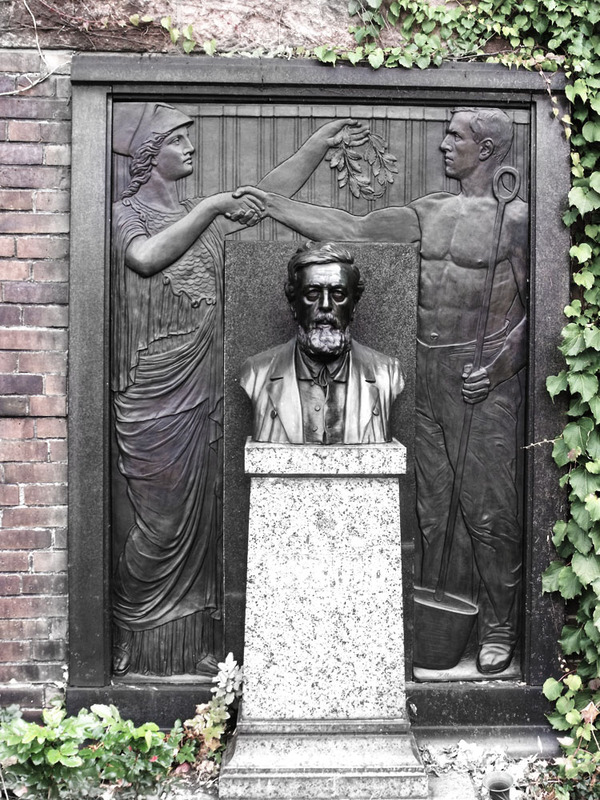 Wilhelm Liebknecht's son was Karl Liebknecht, who together with Rosa Luxemburg led the Marxist Spartacist League and violently opposed the formation of the Weimar Republic in the uprisings after the end of WWI. 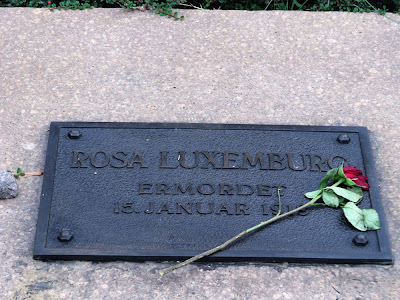 Liebknecht and Luxemburg were captured, interrogated and tortured, and then murdered by a group of paramilitary Freikorps who were intent on wiping out Communists. 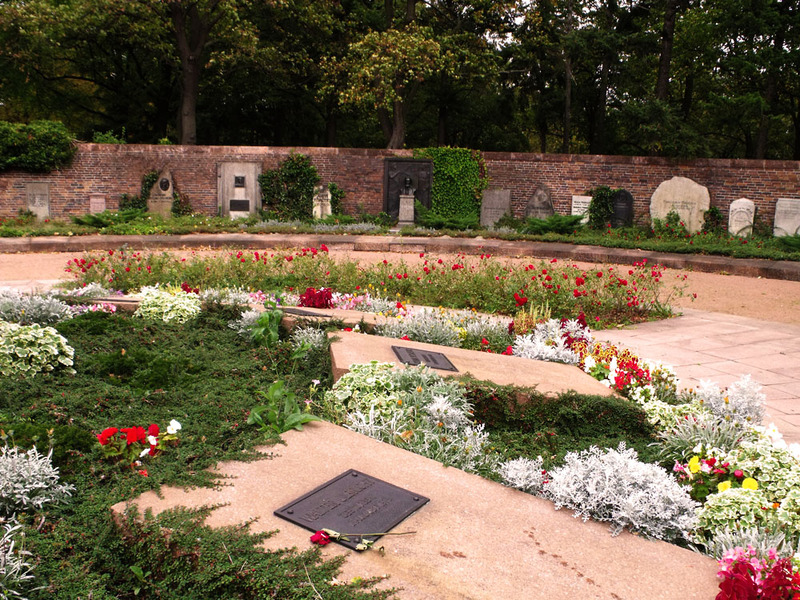 What remained of them after their horrible treatment (Luxemburg was shot in the head then her dead body dumped in the Landwehr canal) was buried in this cemetery in January 1919 together with other Spartacists also murdered in the Freikorps bloodbath. 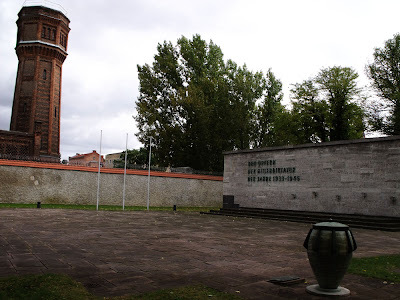 After this event, an impressive modern architecture "memorial to the Revolution" was designed by the architect Ludwig Mies van der Rohe - later to become the director of the Bauhaus - and unveiled in the cemetery in 1926. You can only see the memorial now in archive photos, such as this one held by the Bundesarchiv, because in 1935 the Nazis destroyed it and levelled the graves. 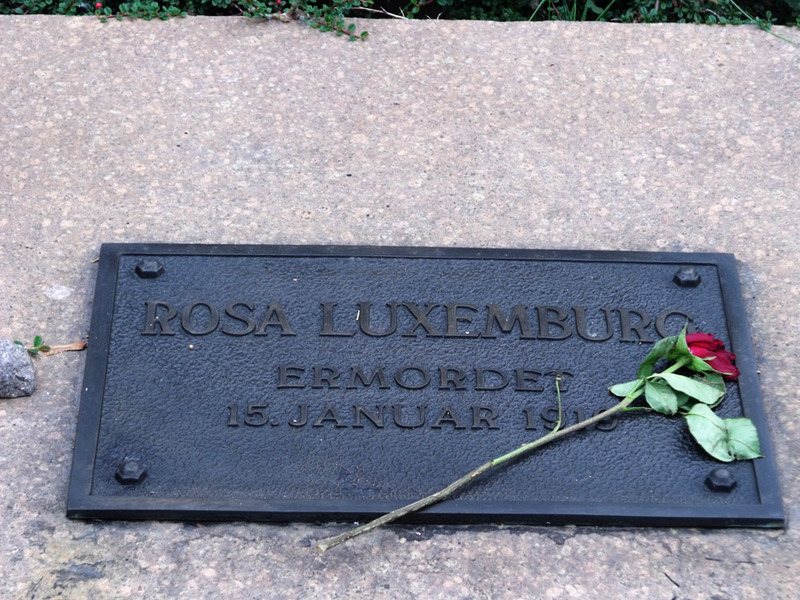 Rosa Luxemburg's gravestone, close up. 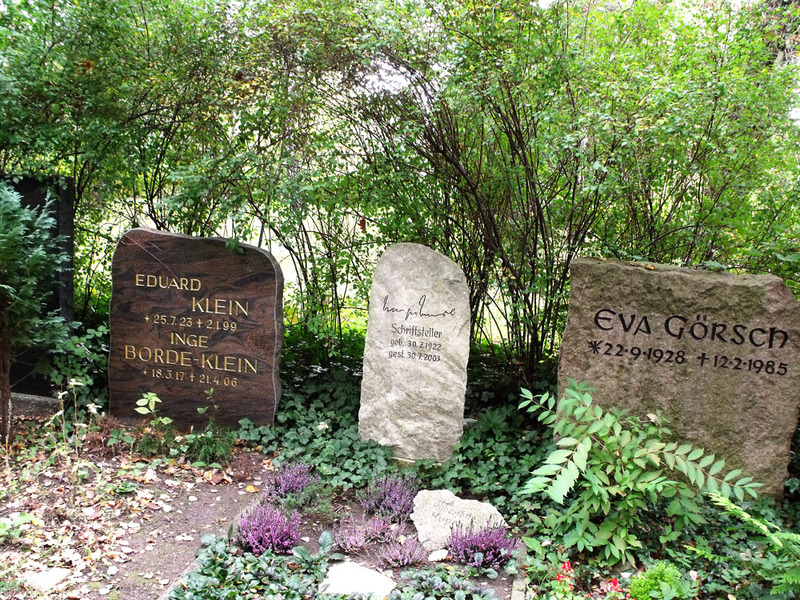 In a similar style, next to her is Karl Liebknecht's grave. 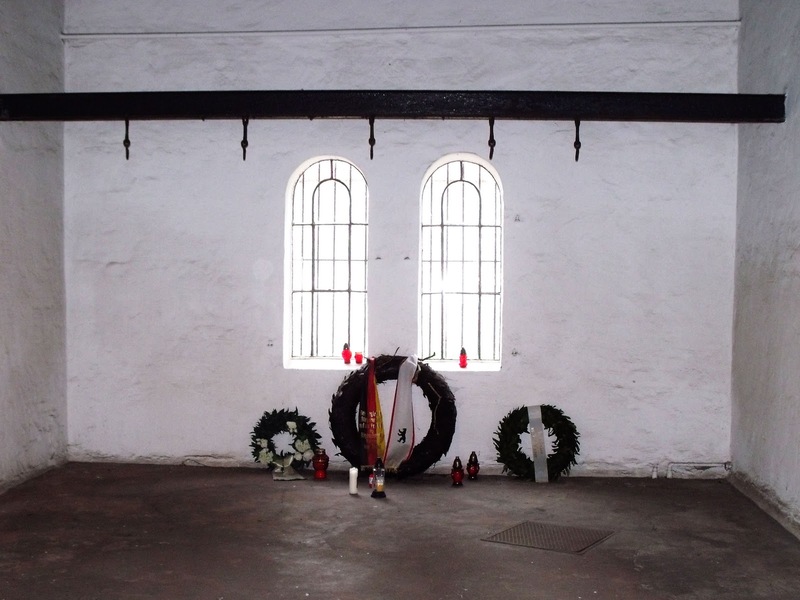 Their lives and beliefs are commemorated here every second Sunday of January. 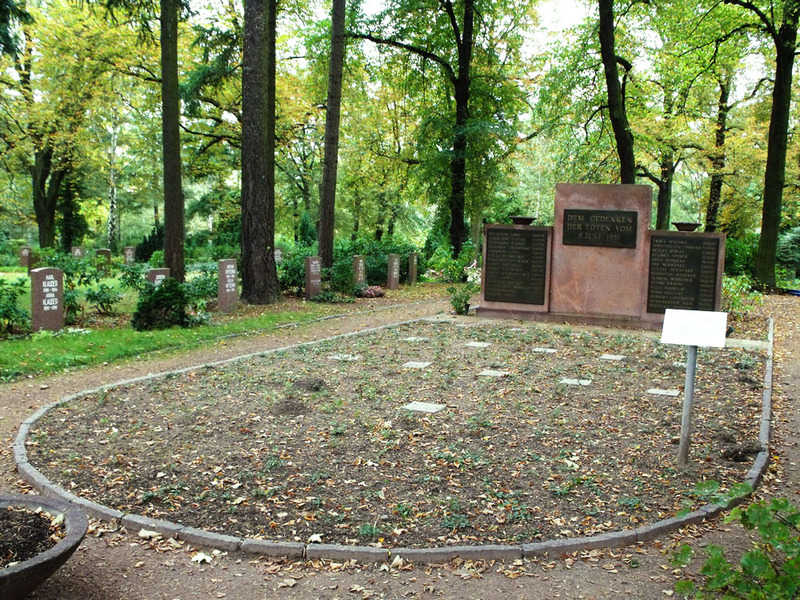 In this exhalted inner circle are the graves of socialists who perished opposing the Nazis, such as Ernst Thälmann and Rudolph Breitscheid. Indeed, the whole memorial reads a little like a street-map of any former East German town. Post-War DDR leaders are also buried alongside these heroes, including Wilhelm Pieck and Walter "Nobody has the intention of building a wall" Ulbricht. 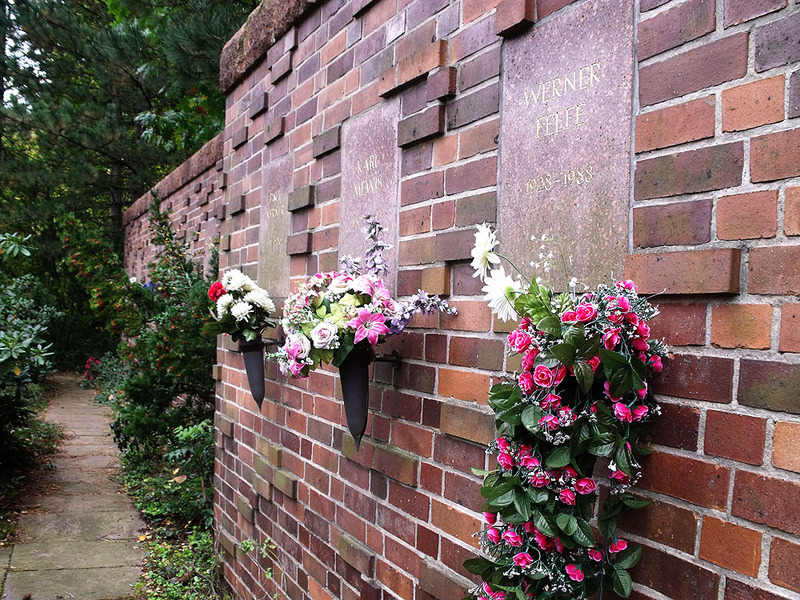 Even further from the centre are wall niches where the urns of formerly prominent politburo members (many of whom even Google hasn't heard of) are adorned with bunches of plastic flowers. That's rather sad, as you can imagine how at the time their nearest and dearest would have been so proud of them being interred here, even if on the outer periphery of the monument. The Friedrichsfelde cemetery has other things of interest beyond the Socialist Memorial, if you like wandering around graveyards, which isn't everybody's cup of tea. 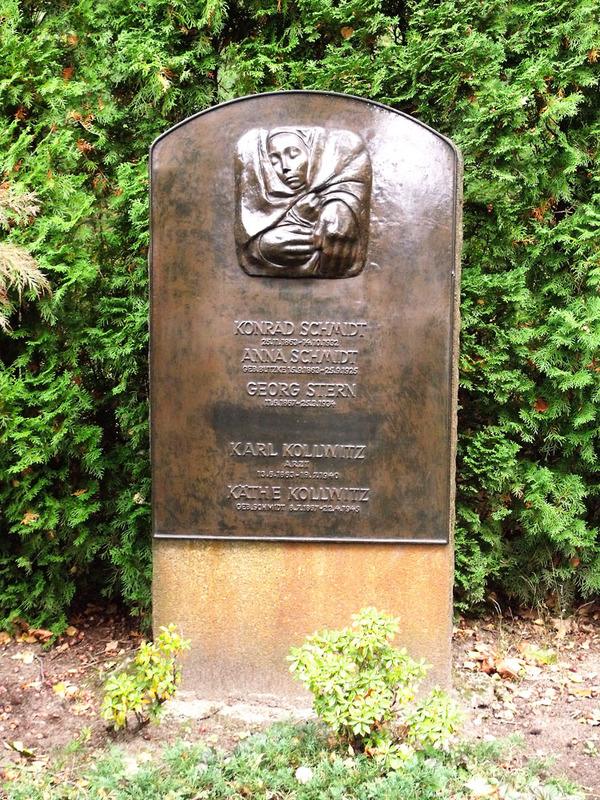 Particularly poignant is the gravesite and memorial to a tragic boating accident at Treptow Hafen on 5th July 1951 when the ship Heimatland blew up with at least 28 children on board who perished. The memorial is boat-shaped, carrying the remains of 16 of the young victims into eternity. Another area is reserved for the burial urns of victims of Fascism and the Nazi regime. This is marked by a piece of 'sculpture' emblazoned with the red triangle given to political prisoners in the labour camps. 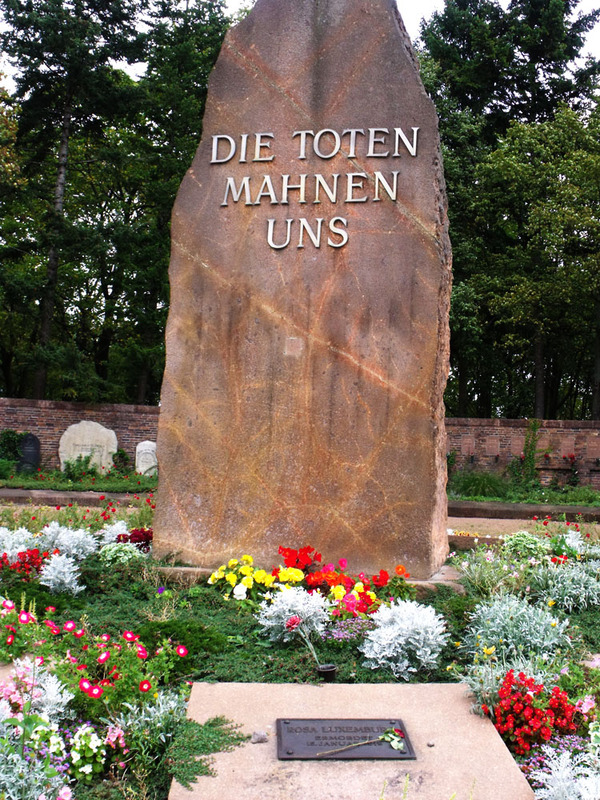 The aim is to give a dignified burial for the victims of fascism and Nazism as they finally pass on, and around 900 urns occupy this area, all marked with plain granite stelae. 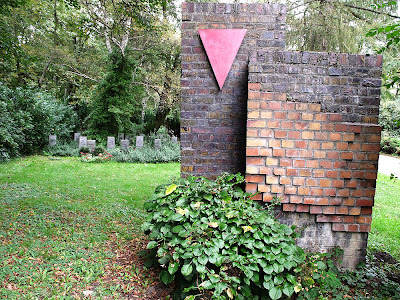 Graves for the victims of fascism, right up to the present day. 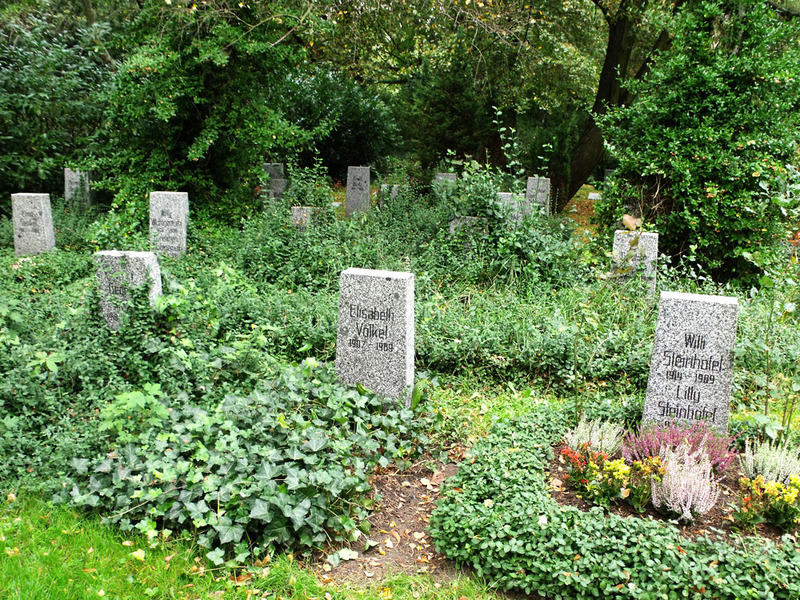 Before leaving the cemetery, it is perhaps worth noting the almost total absence of crosses and weeping angels and other Christian symbolisms of death. 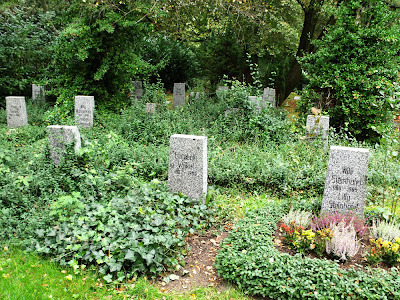 This is, after all, a 'Socialist Cemetery'. After leaving Friedrichsfelde we travelled across to the other side of Berlin to remind ourselves of what the victims and heroes were up against in the sheer brutality of the Nazi regime. We went to Plötzensee Prison in Charlottenburg, a place of horror where many many thousands of political prisoners and conscientious objectors were illegally executed, including thousands caught up in the retribution after the failed von Stauffenberg 20 July 1944 plot to assassinate Hitler. There is little to see here, but what there is is shocking: the row of meathooks from which the murdered kicked out their last gasps of life. The wall of the execution shed has been turned into a memorial to the victims of the dictator Hitler. Note the barbed wire on the wall to the left (click for bigger) and the water tower. The prison is still in use, though obviously now in accordance with proper legal sentencing and justice. 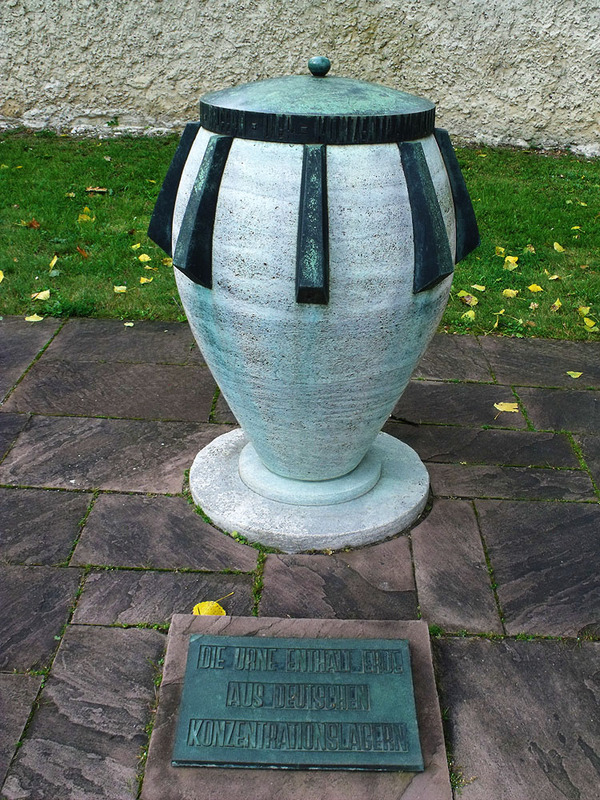 The urn in the foreground contains earth from each of the former German concentration camps. Urn filled with soil from German concentration camps. It's English Jim, But Not As We Know it!